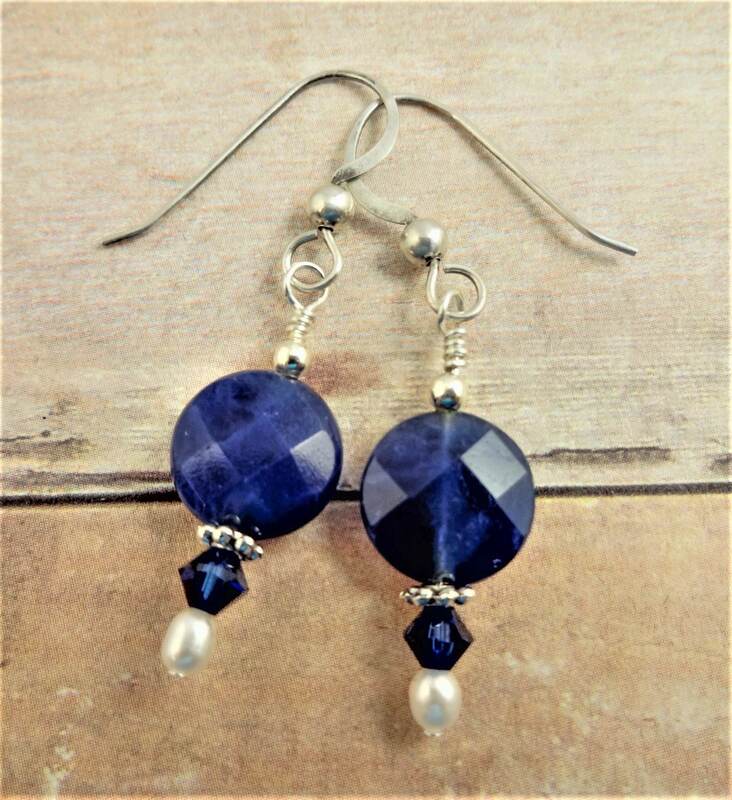 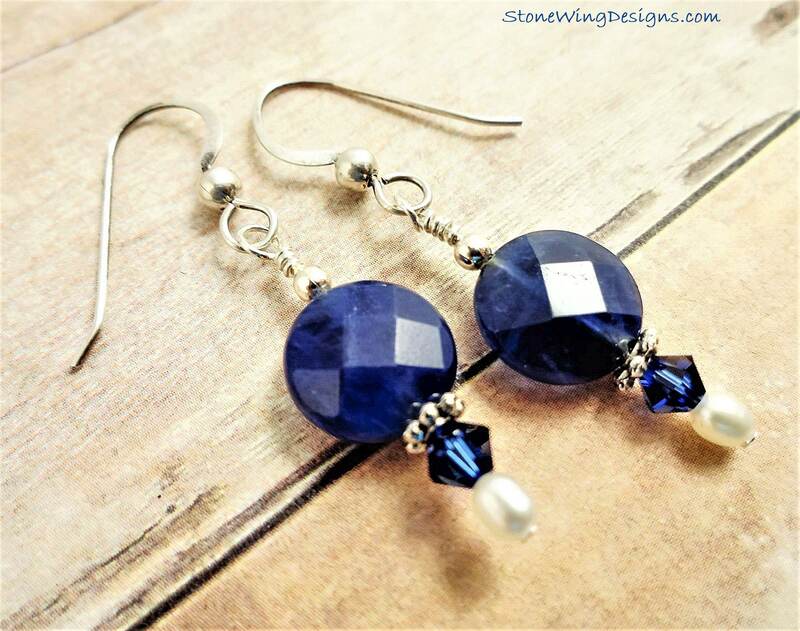 These faceted sodalite coins are cute as buttons, and the small white pearls and Swarovski crystals with the silver accents make these earrings quite elegant. I'm not saying they could replace your sapphires, but with the right outfit, you could go from the workplace to a night on the town without a worry. Yes, you need these earrings.